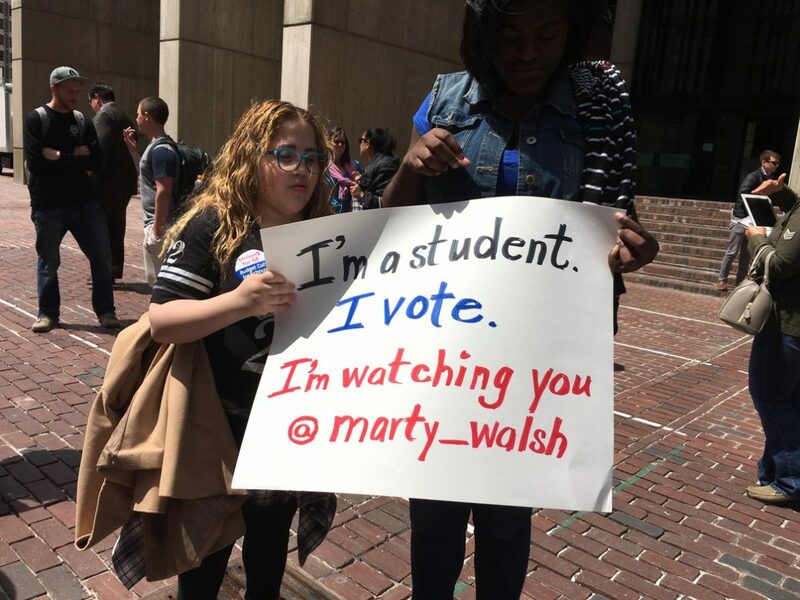 By Kyle Scott Clauss·	 5/17/2016, 4:16 p.m. 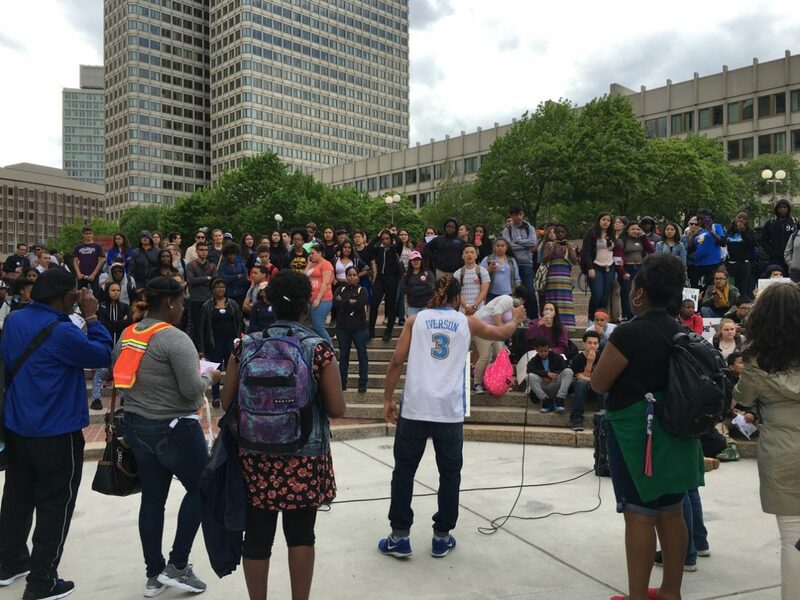 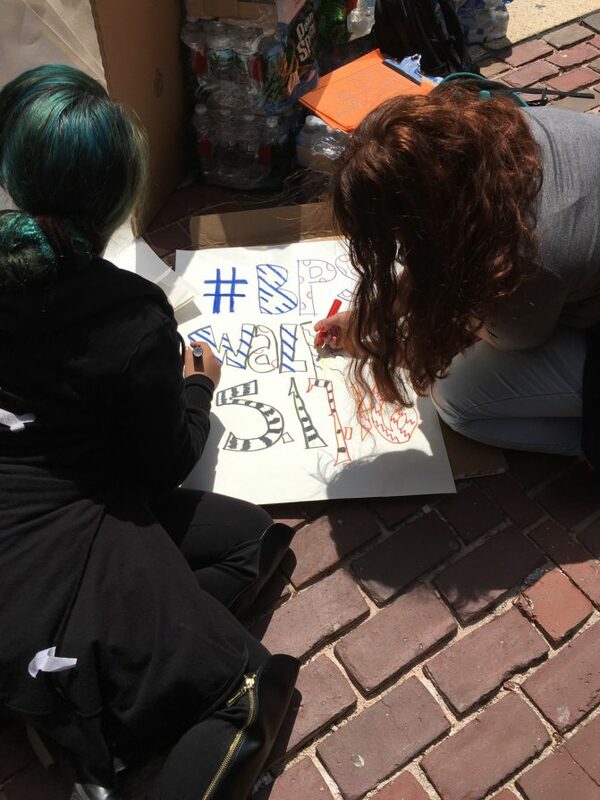 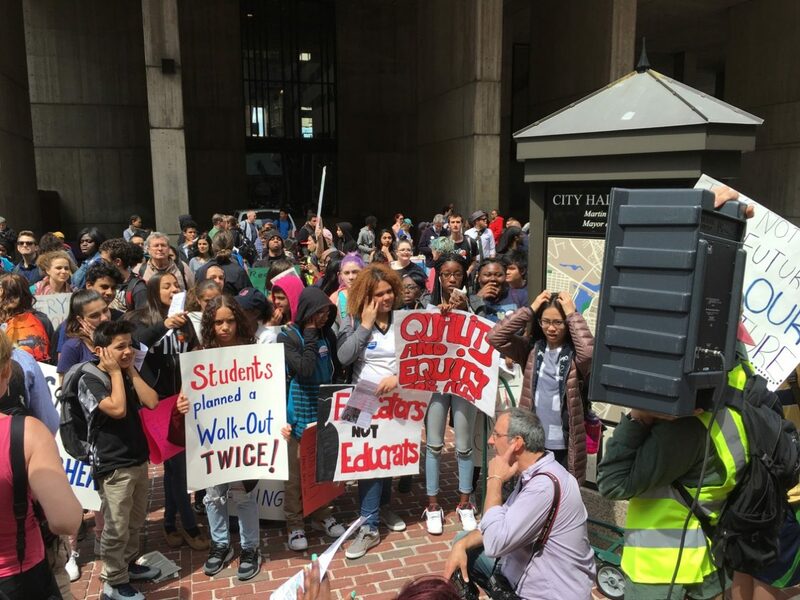 Hundreds of Boston Public Schools students, joined by parents, teachers, and labor organizers, gathered in City Hall Plaza to protest budget cuts and school closings. 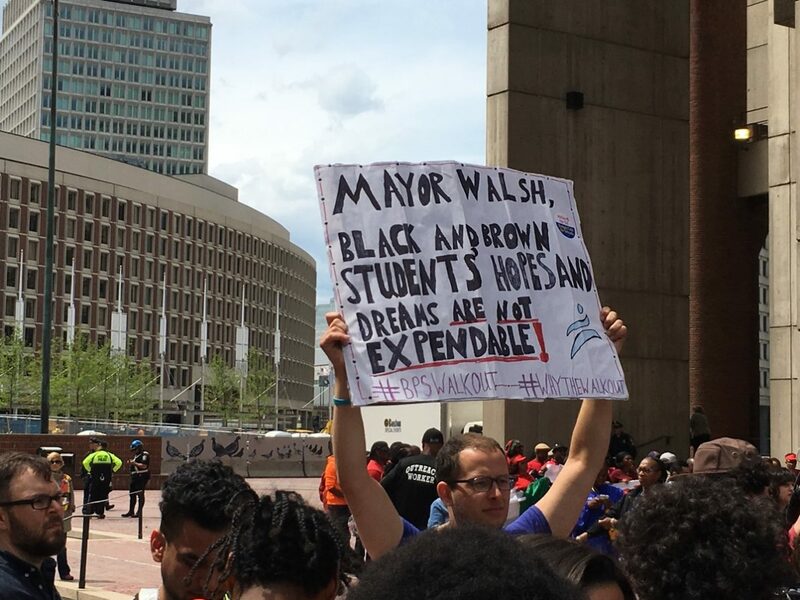 The demonstration, dwarfed by March’s protest in the Common, came just hours after Mayor Marty Walsh called the timing “unfair and inappropriate,” as it coincides with the first day of MCAS standardized testing for sophomores. 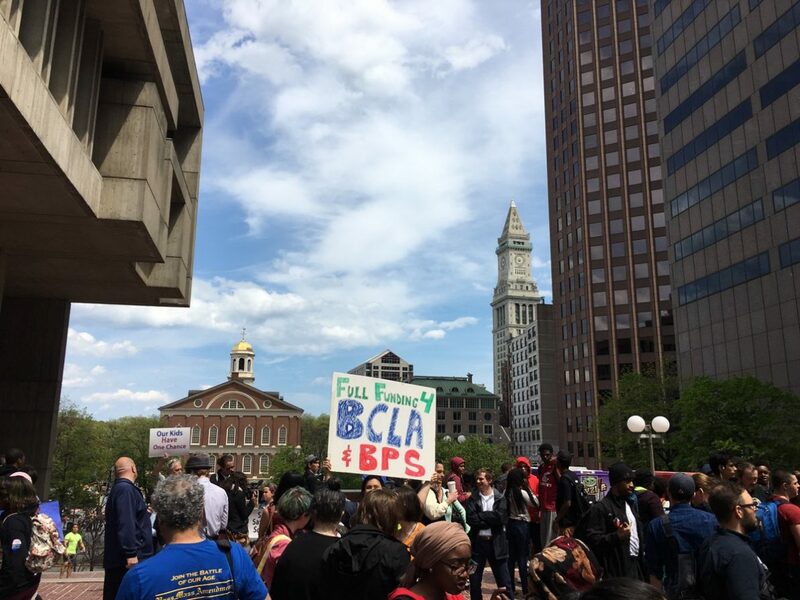 Chris Hoeh, a decorated second-grade social studies teacher at Cambridge Friends School, said his son, a student at Boston Latin as well, participated in Tuesday’s walkout. 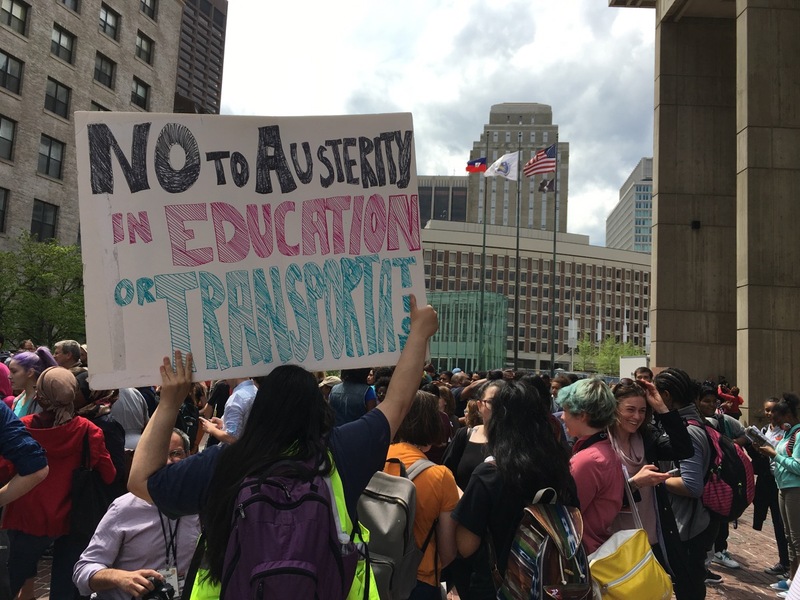 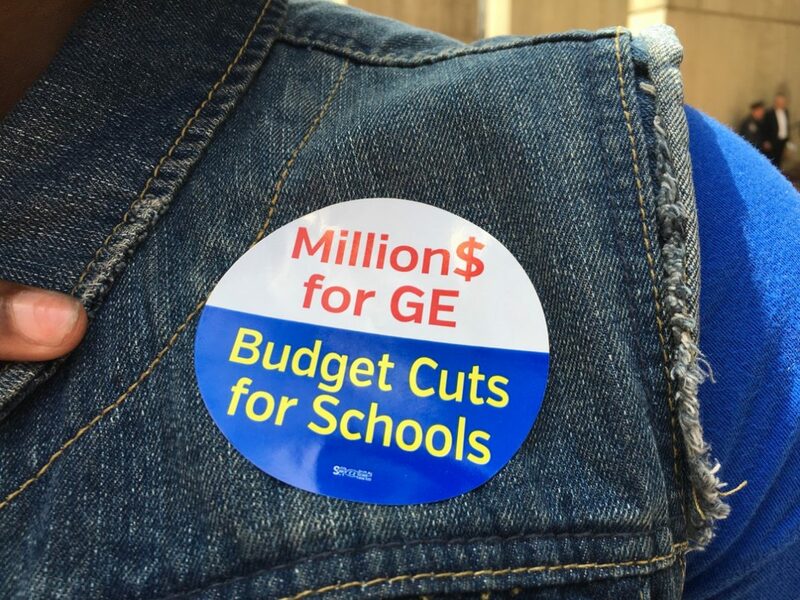 Representatives of the Boston Education Justice Alliance (BEJA), SEIU 1199, and the Socialist Alternative handed out signs and stickers as students filed over from Government Center station. 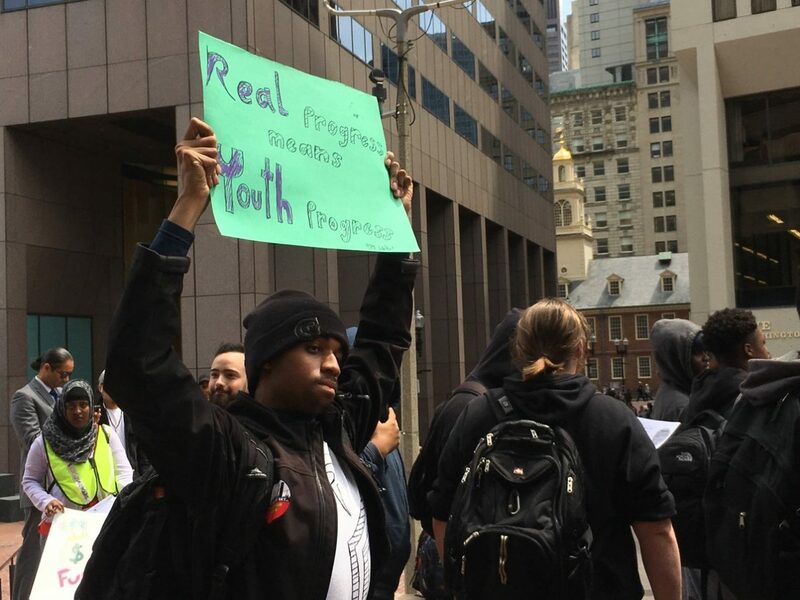 After some of the demonstrators packed the City Council chambers for a 2 p.m. Ways and Means committee hearing on BPS academics and wellness, those still outside marched down Congress Street to the rear of the plaza to continue protesting. 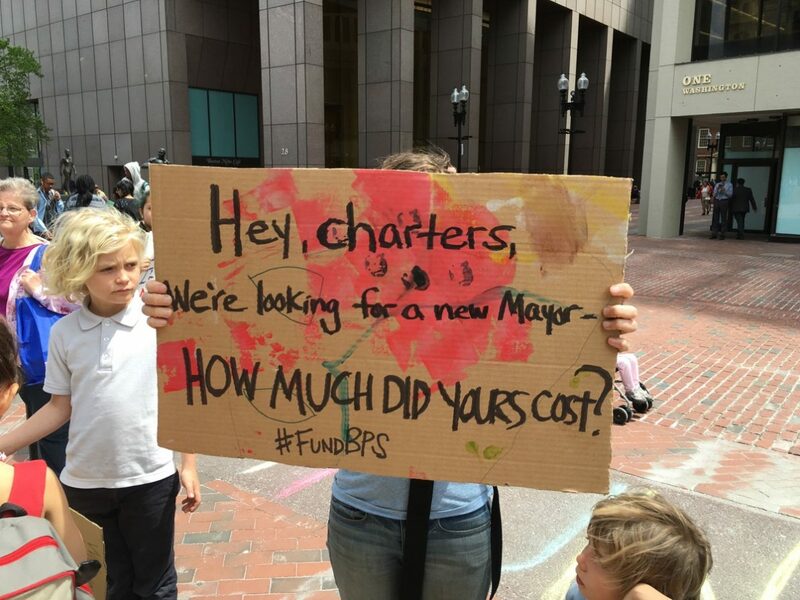 In March, the Boston School Committee approved a controversial $1 billion budget proposal for fiscal year 2017, which included multimillion-dollar cuts to special education resources. 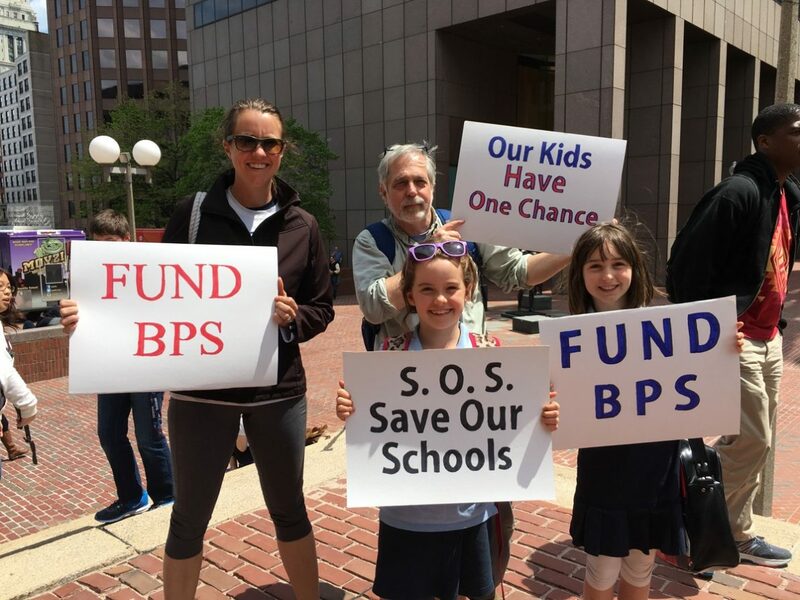 “Difficult decisions were made, but I’m confident our team made the right decision to make sure this budget is equitable,” BPS Superintendent Tommy Chang said at the time.